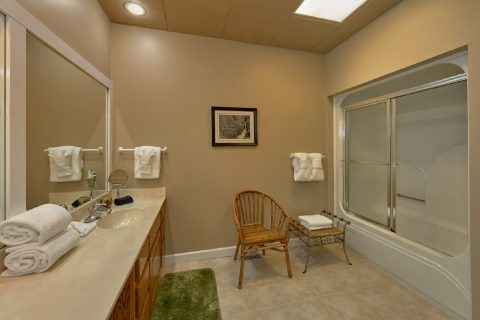 Escape to "Up to Nut'n," your 3-bedroom cabin near Pigeon Forge, for a memorable getaway. 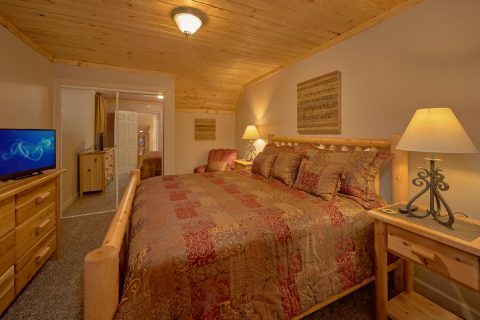 At your cabin, you can enjoy comfortable features for a relaxing stay. 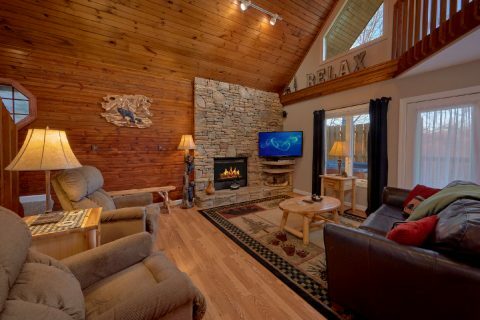 Even better your cabin's location at the edge of Wears Valley places you only minutes from the area's top attractions, making sure your cabin vacation is the best trip to the Smokies you've had yet! 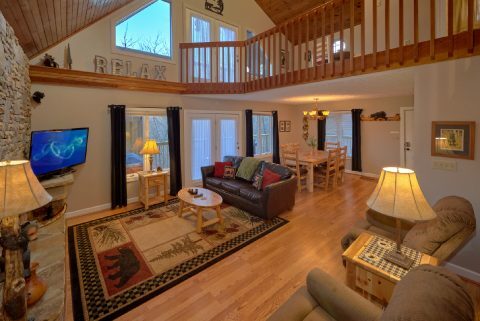 Your cabin offers plenty of features for you to enjoy a relaxing and entertaining space for you to stay on vacation. 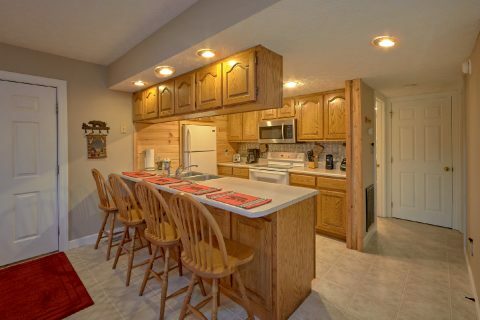 In the kitchen, prepare cost-effective meals that you can enjoy with friends and family in the dining room. 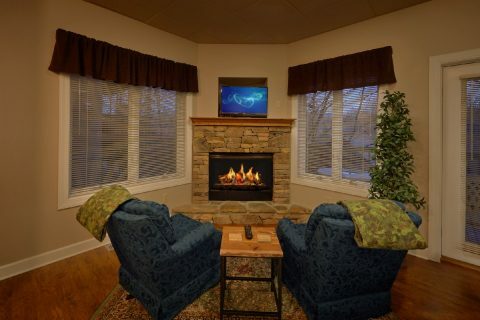 The warm glow of your gas fireplace offers a cozy spot to relax on cold nights with a cup of cocoa and your favorite show. 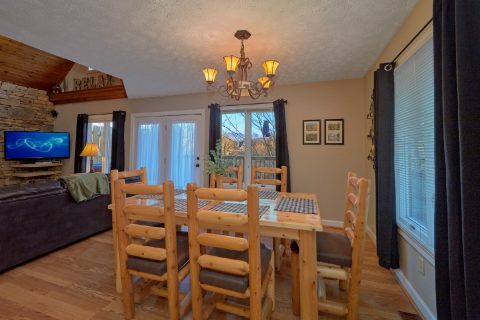 Upstairs, you'll find more space to entertain with another seating area in the loft. 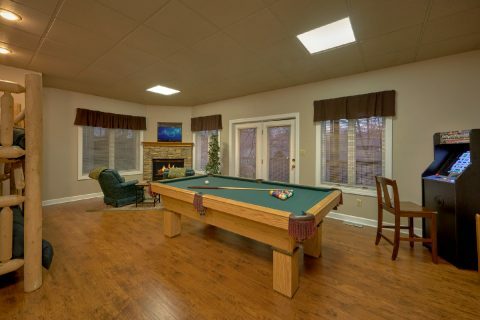 Downstairs, there's a game room that's perfect for kids (of all ages) and features a beautiful stone fireplace, a pool table, a multi-game stand-up arcade game, a kitchenette, and twin bunk beds for a fun-filled space that's sure to be the highlight of your cabin stay. 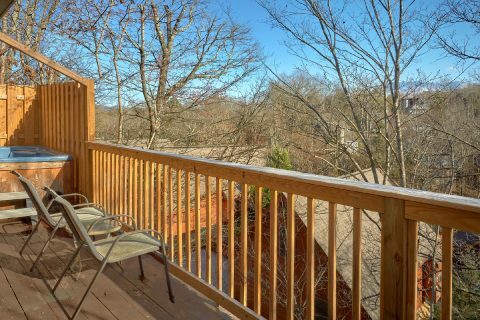 Outside, on your 3 decks, you can enjoy some fresh mountain air in style. Host a cook out on the gas grill or on the charcoal park grill and enjoy juicy burgers made just how you like them in the Smokies. 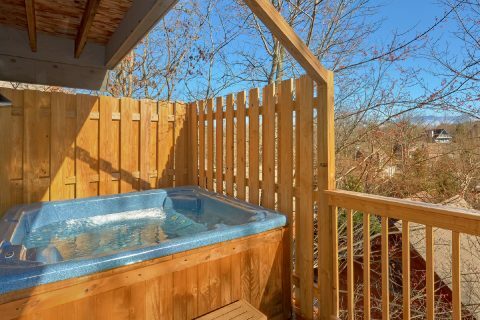 Let your cares melt away in the warm waters of your hot tub while watching the sun set on the mountains. 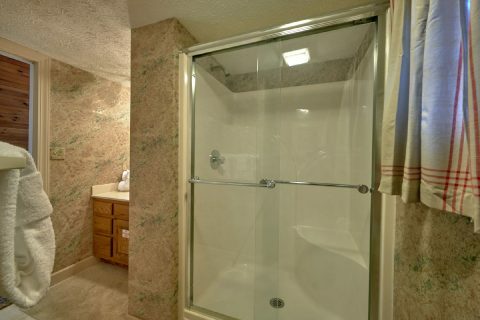 Your cabin also gives you access to your resort's pool. 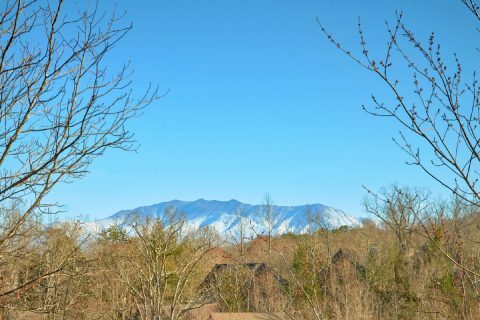 While there's plenty of entertainment options at your cabin, you're less than a mile from the Pigeon Forge Parkway which means you can enjoy quick access to the best food, shopping and entertainment the Smokies has to offer. You can also enjoy easy access to the Cades Cove side of the Smoky Mountains National Park, where you can enjoy mountain wildlife on the scenic loop as well as hiking trails and historic buildings. 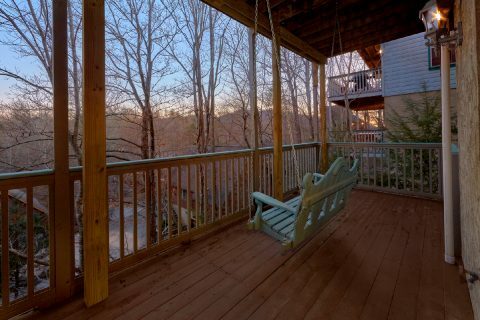 At the end of a day of excitement in the Smokies, you'll need to rest up for another day of adventures. 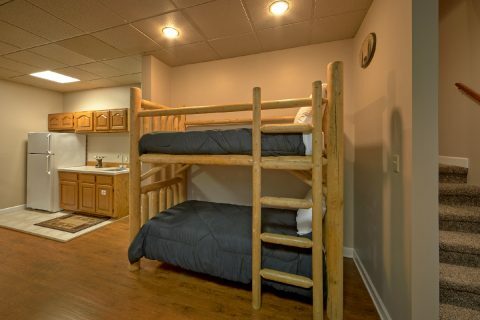 You can choose to unwind in one of 2 King Bedrooms, a large bedroom with 2 queen beds, or the bunk beds in the game room. 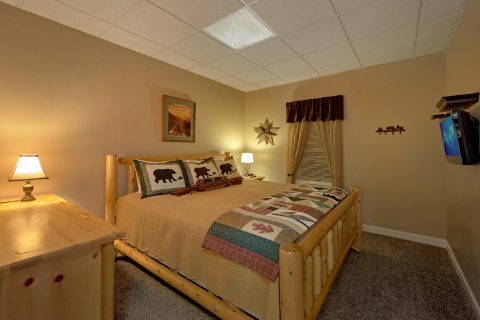 One king bedroom is located on the main level and the king bedroom is located on the lower level. 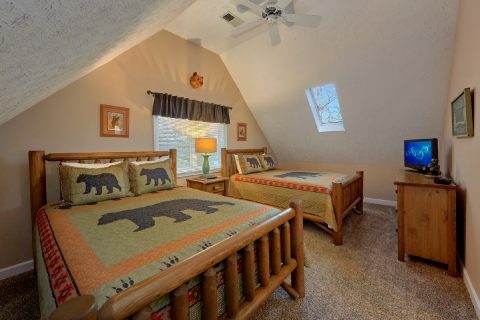 The queen bedroom is located upstairs in the loft. 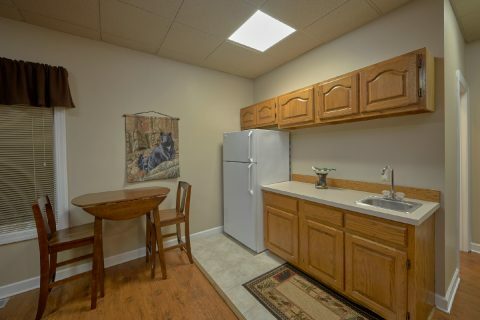 Since we believe your stay should be a comfortable and convenient as possible, you can also enjoy practical amenities at your cabin retreat with WiFi internet, washer and dryer, and a driveway with flat parking. "Up to Nut'n" rests just down the road from "Mountain Time," a 5-bedroom cabin. 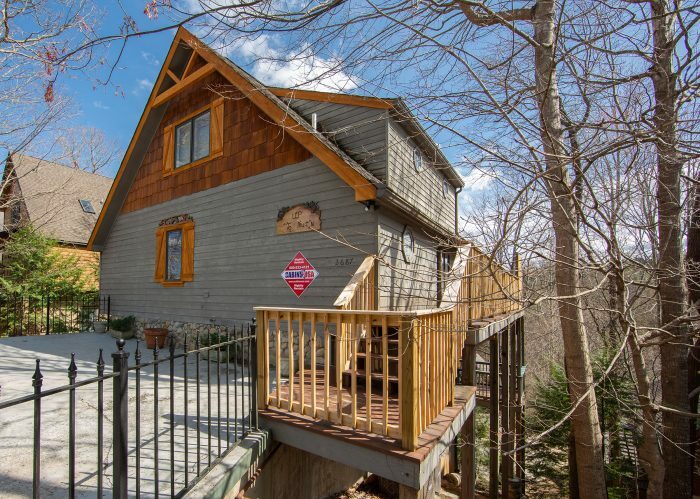 These cabins can be rented together to provide the perfect mountain retreat for a large family gathering, a church group retreat, or a wedding. Talk to one of our reservation specialists today about booking multiple cabins for a vacation to remember! 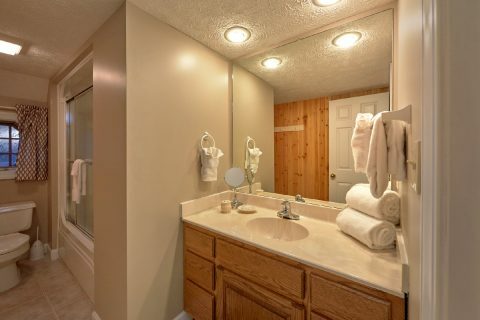 Reserve "Up to Nut'n" today and you'll be ready to get back and relax in your 3-bedroom cabin near Pigeon Forge. 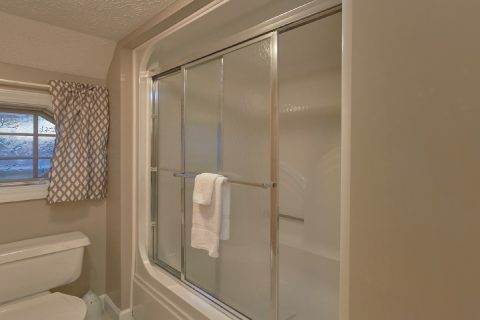 Even more relaxing is the 15% booking discount you'll receive when you book online!